Denim shorts are essential to any summer wardrobe. They add that casual cool feel that everyone wants. But when you want something that’s still rock and roll, but feminine? It’s the best of both worlds. It has the frayed edge that adds an edge. But the fact that it’s a skirt smoothes those edges and turns it into a summer essential. 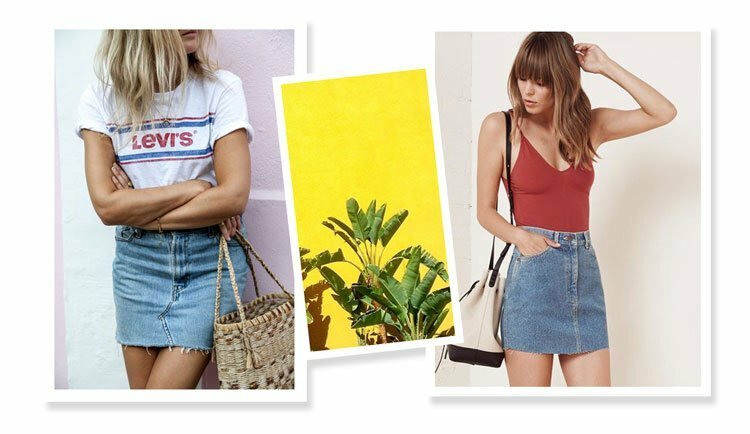 But denim skirts have come a long way since middle school, baby. An a-line denim skirt is especially flattering for those who need a little more shape. It flares out at the bottom so it defines your waist and makes your legs look slimmer. 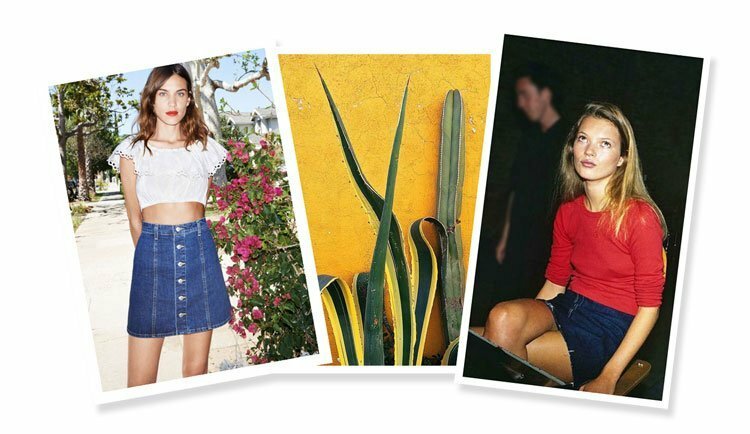 Total 70’s vibes, the button down denim skirt has risen to popularity thanks to Alexa Chung and her AG collaboration. The buttons add more femininity to the skirt and an extra level of retro-cool. Through and through tight, this denim skirt hugs your body in all the right places. Another round of applause to Alexa Chung for this style. Overall denim skirts are just that… A denim skirt that has overalls on top. An easy all-in one outfit, the overall denim skirt is overall, a winner. You know that perfect one that girls on Instagram wear? It’s this one. The standard denim skirt. It’s relatively high-waisted, the rise is just below your belly-button, has five pockets, and is that denim skirt you dream of. Today’s denim skirt is all about a cool attitude though. The denim offsets the girly-ness equated with a skirt… They make your summer outfit tough but delicate. Can you bend over without everyone seeing your underwear? How is the wash? Does it go with dark tops and light tops? Will the frayed edges get too destroyed in the wash? Are you happy with where it sits on your waist? It isn’t too high-waisted or too low-waisted? If it’s too heavy, the denim skirt will sit weird and feel uncomfortable. It needs to be the right kind of denim, somewhere between a recycled denim and a stiff Japanese denim (like APC’s). While flashbacks of a grade 8 dance are reasonable, jean skirts are always in style. You just need to find the one that is most flattering to you today.